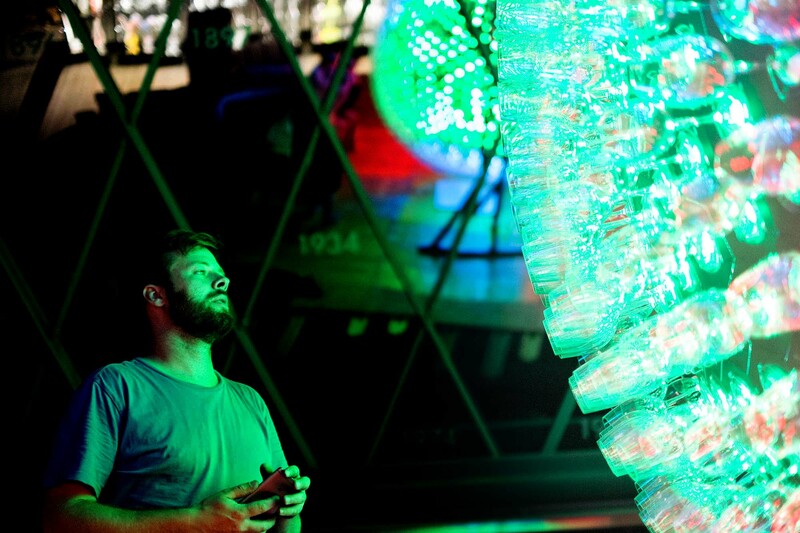 A light installation designed and developed for glass manufacturer Riedel. 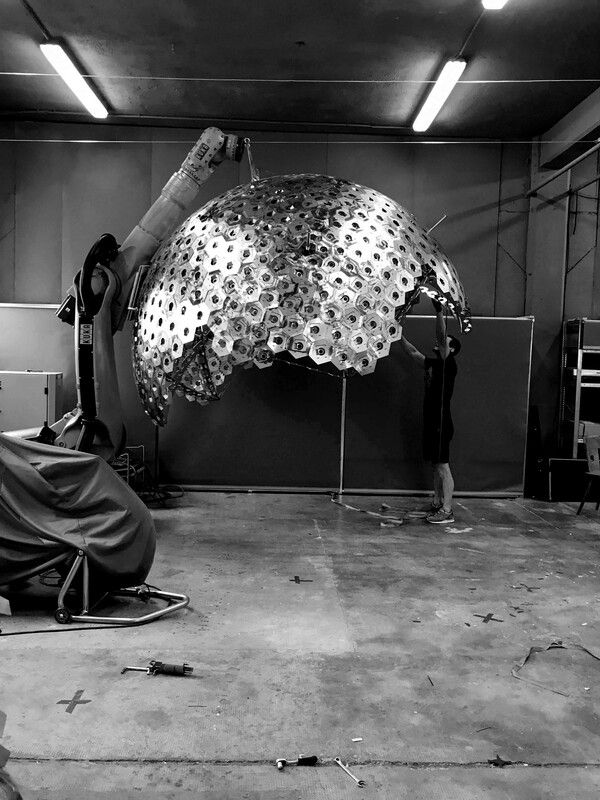 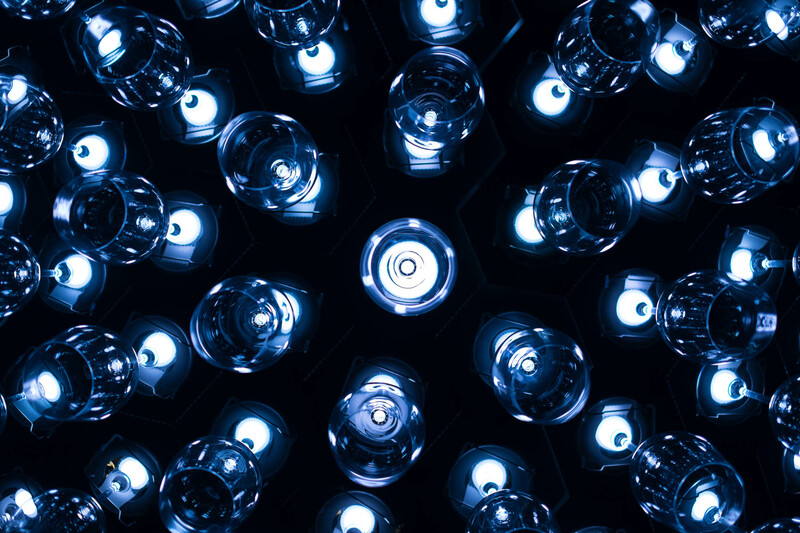 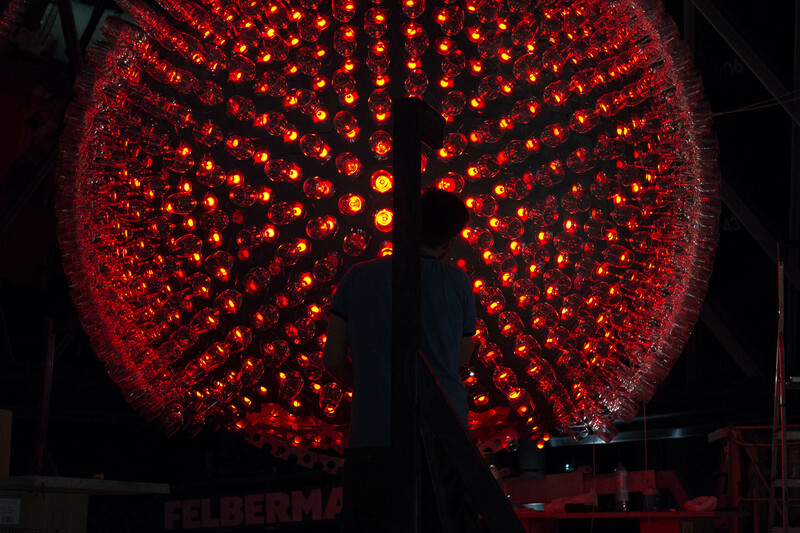 1477 glasses are attached to a segmented sphere made from stainless steel and lit up individually by means of addressable LEDs. 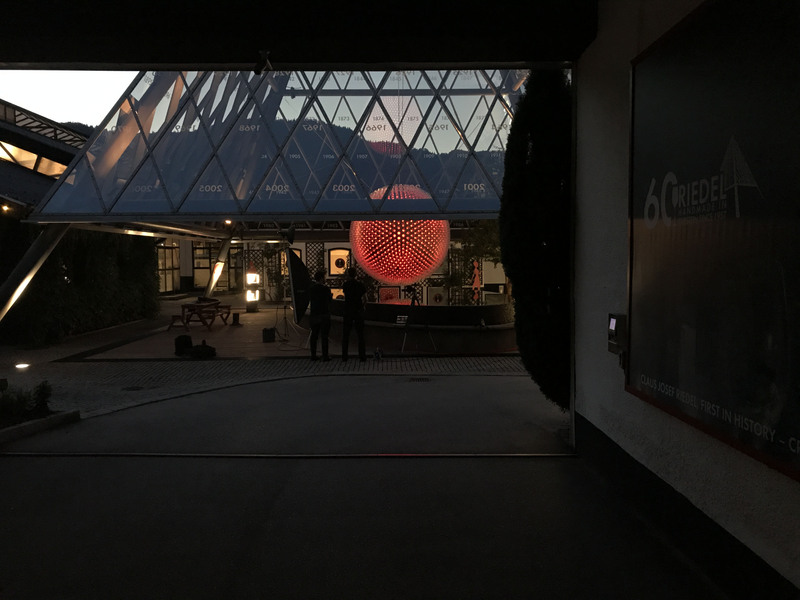 The work installed in the Visitor Center in Kufstein measures 3400mm in diameter and acts as a spherical display that can be recorded all the way around. 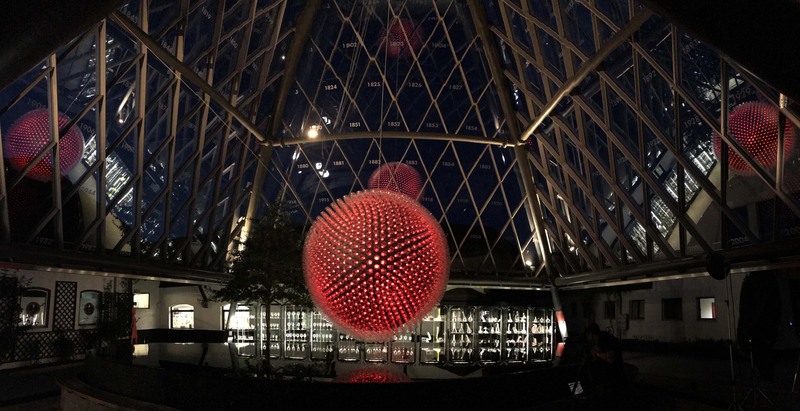 The Riedel Glass Sphere adopts the original shape of every glass – a sphere – and, with its shape, extends to the worldwide activity of the manufacturer from Kufstein, Austria. 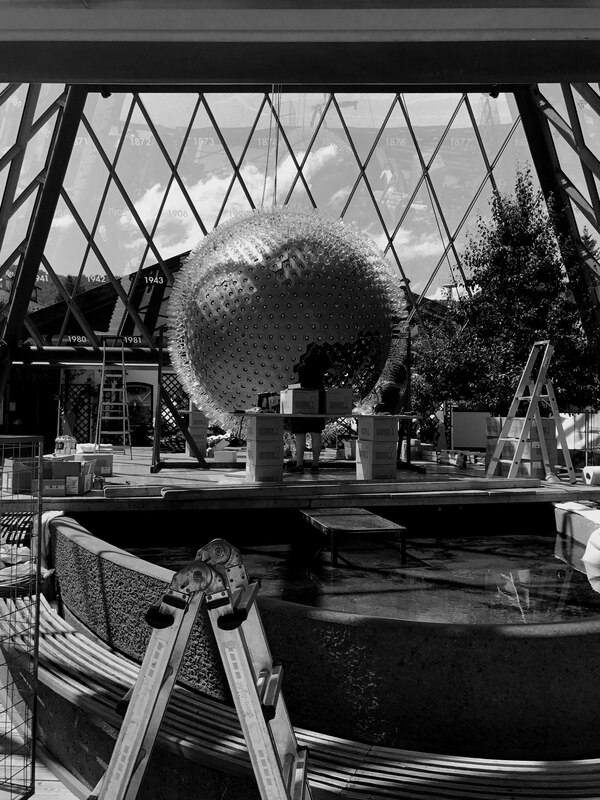 The huge diversity of the special glasses developed by Riedel over the past 250 years can be found in the endless possibilities of recordability of the 360° display made up of 1477 wine glasses. 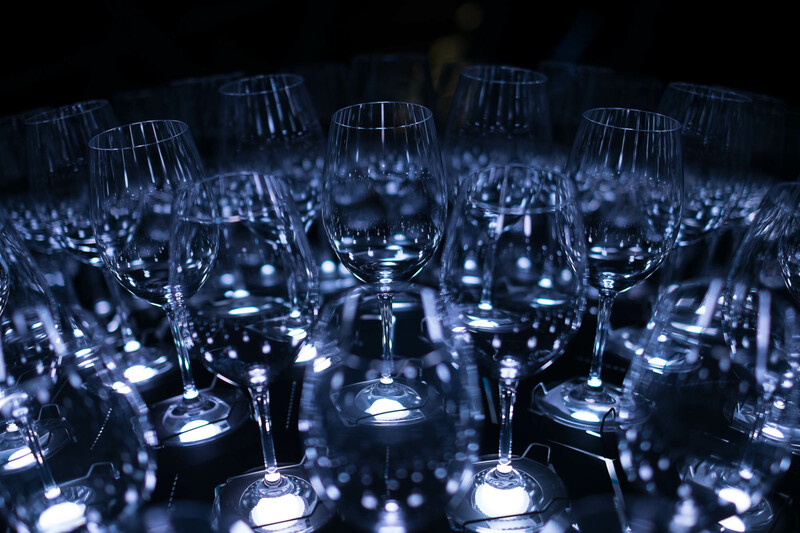 It pays homage to the experts at Riedel, who design every glass over years, turning the taste of the drink and thus the drinking experience into an indulgence.